China has offered to help defuse the Rohingya crisis, Bangladesh said on Saturday. Following meetings with Beijing’s top diplomat, Dhaka hopes China will apply pressure on Myanmar to take back hundreds of thousands of refugees. More than 600,000 Rohingya are languishing in Bangladeshi refugee camps after fleeing a Myanmar army campaign launched late August. Bangladesh, which already hosted some 250,000 Rohingya before the current exodus, wants the latest arrivals to return swiftly and is keen to enlist help from China, a staunch ally of Myanmar. Foreign Minister A. H. Mahmood Ali held talks in Dhaka on Saturday with his Chinese counterpart Wang Yi over the issue. 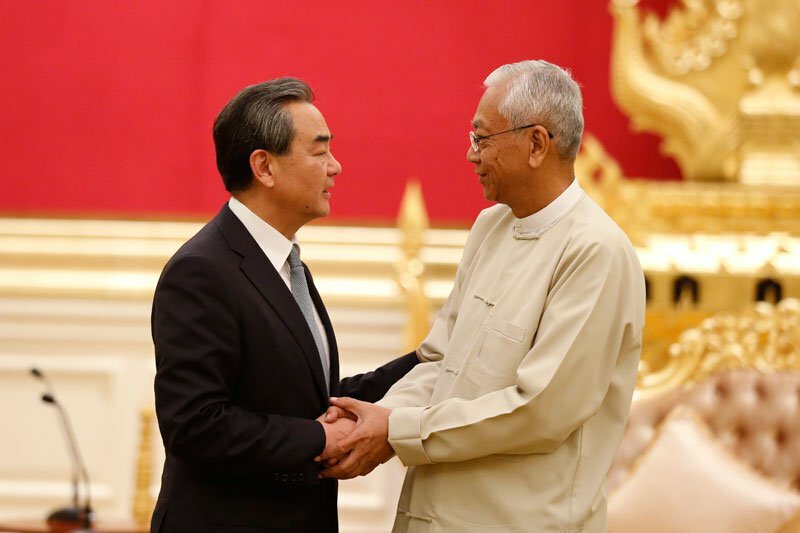 “When the issue of exodus of displaced Myanmar nationals was raised, the Chinese Foreign Minister stated that as a friend China will help resolve the issue and will not be partial to any side,” Bangladesh foreign ministry said in a statement after the talks. No details were given on what concrete steps Beijing might take. Myanmar has faced growing international anger over its treatment of the Rohingya but China has helped shield the country from censure. Earlier this month the UN Security Council dropped plans to adopt a resolution demanding an end to the violence in Myanmar in the face of strong opposition from China. According to Bangladesh’s private news agency UNB, Wang held a briefing for a small number of local media at China’s embassy in Dhaka where he said Beijing supports “a proper solution of the problems through bilateral channels”. But he warned against further moves at the UN to criticise or punish Myanmar. Wang is the first of a host of foreign ministers from Asia and Europe who are visiting Bangladesh for talks on a refugee crisis that has left the impoverished nation reeling. Bangladesh Foreign Minister Ali will take his counterparts from Germany, Sweden and Japan, together with the European Union’s diplomatic chief Federica Mogherini, to the border town of Cox’s Bazar on Sunday to see the camps. Refugees are penned inside vast, squalid camps, and UNICEF estimates that 25,000 children are suffering from severe malnutrition that could easily become a major killer. The ministers will also meet Bangladesh Prime Minister Sheikh Hasina. Bangladesh and Myanmar have agreed in principle to begin repatriation of the Rohingya but are still tussling over the details. Yet on Thursday Myanmar’s powerful army chief distanced himself from any suggestion of a quick return. The Rohingya, he said, could only return if Buddhist citizens accepted them.